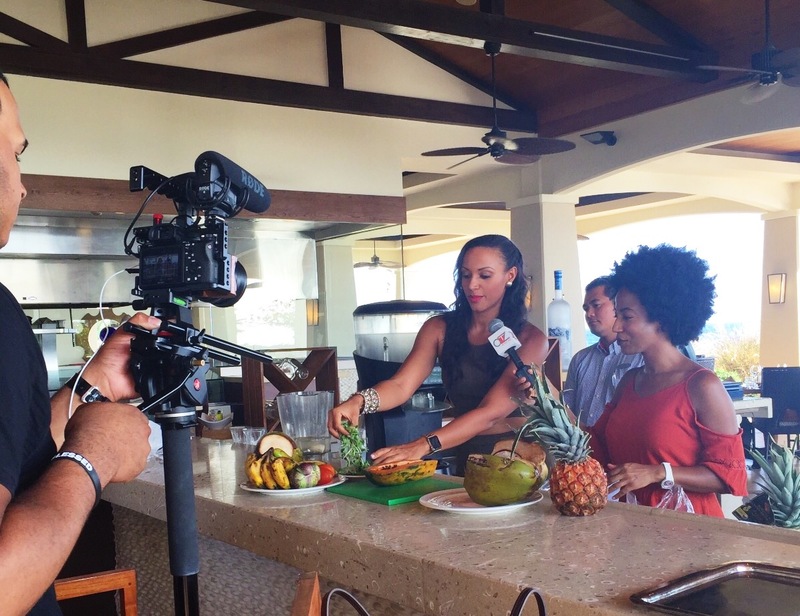 Back in September, we were approached by VSN network to film a TV segment in my native country of Curaçao for a Television show called “All that Zaz” to be aired around the world through the Discovery Channel. I was honored to travel from the States back to Curaçao to represent my island, my heritage, and my culture. I had the pleasure to meet Africa Miranda that hosted the TV show and shared with her and the world, my vision as a holistic health coach. I discussed the power of meditation, shared my green smoothie secrets, discussed my work as a holistic health & lifestyle coach, and shared what we are doing for the island of Curaçao to assist our nation to regain back health, happiness and love. I have been working with my business partner Rudolf de Wit to develop several wellness projects for Curaçao in the last few years. We are both honored and excited for what’s to come to help others be encouraged, empowered and healthy. We are on a mission to create Curaçao Wellness Destination projects to make Curaçao the next wellness mecca of the world. You can read more about one of our projects called PIAI retreats within the website in the toolbar above under Events > Health Retreats. We are happy to announce that starting on January 16th, 2017, VSN Network will be airing “All that Zaz” 24hr channel dedicated to Beauty, Fashion, Wellness and Luxury Lifestyle via the platforms Apple TV, Amazon Fire TV and the Roku device with a combined audience of 45 million subscribers! I am sharing all my knowledge, secrets and tips through my new health coaching program called, Lifestyle Awakening. Contact me for more information about this exciting 7 weeks health coaching program! What a great opportunity to have the honor to represent health, wellness in such a BIG & BLESSED way! EVERYTHING IS POSSIBLE WHEN WE BELIEVE!